For the Love of Naps: Links I Love...I have missed sharing! Do take a peek! 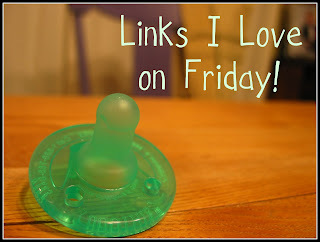 Links I Love...I have missed sharing! Do take a peek! Those of you with preschool age kiddos who are obsessed with Star Wars, due to a bigger brother...this blog has TONS of great packets put together in different themes...this one just happens to be Star Wars which in my house makes me the coolest mom ever when I whip this baby out. It also means that while I sip my latte and quiet music plays, I know that for a good hour that Henry and I will putter with these sheets a few mornings in the near September future. For all you preschool moms...there are plenty of themes that are girlie or neutral too. Our last meal in our oven last night was this. And they tasted REALLY REALLY good. And they were super easy! I paired these with big yummy salads (lettuce topped with cherry tomatoes, cheese, cucumbers, hard boiled egg, etc). "9. The best weapon a mother can have in her arsenal is other moms who knows what it all feels like. Find them. Talk to them. Cry to them. Laugh with them. Buy them ice cream. 11. I'd rather be underscheduled than overscheduled. We are all happier when we have "found time" and aren't shrieking at each other to get somewhere on schedule, especially if it's someplace we aren't genuinely excited about being in the first place." ..."I shall not question the mother who is wearing the same yoga pants, flip-flops and t-shirt she wore to school pickup the day before. She has good reason. ...I shall try my hardest to never say never, for I just may end up with a loud-mouthed, bikini clad, water gun shooting toddler of my very own. ...I shall remember that no mother is perfect and my children will thrive because, and sometimes even in spite, of me." If you had a post that really struck you this week...good, bad, inspiring, hilarious, emotional....I would love to have a hint on where to head....do please share! OK, sorry, this is a long comment, but this is what "touched" my heart this week: READ THIS VERY SLOWLY... IT'S PRETTY PROFOUND. Now....go on and have a nice day. Do something you WANT to...not something on your SHOULD DO list. If you were going to die soon and had only one phone call you could make, who would you call and what would you say? And why are you waiting? I cherish many friendships. We have some history together.